Looking down and eastward onto the proposed east London the site of the 2012 Olympic Games, village and arena. 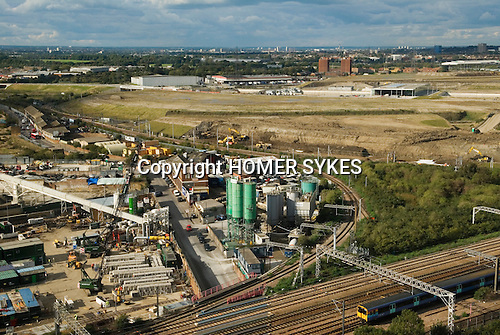 Carpenters road and industrial site, the new Stratford International railway station. Stratford, England 2006.